If you’re business is currently using two way radios, or you are investigating using two way radios for communication in your workplace, you may be asking yourself whether you need to be using a two way radio repeater. In fact, this is a question we get asked a lot at Nova Communications! In Canada, the majority of radio systems are being used without radio repeaters, or what is known as simplex operations. If you are operating in a small to medium sized warehouse, plant, or property, generally two way radio repeaters are not used, but there are unique and special instances where a repeater is the right option for your team communications. But let’s start with some basic information. Simply put, a two way radio repeater is an infrastructure built to amplify your communication – and has a receiver, transmitter, and a base station antenna. With this technology combination, the coverage area in workplaces, and the building penetration for coverage, is greater. Typically, two way radio repeaters are used in very low signal workplaces, transmitting signals at higher powers and allowing better communication. But not every workplace requires a radio repeater – in fact, in most cases, they’re not necessary. Poor Coverage – The number one reason for needing a repeater is poor coverage. 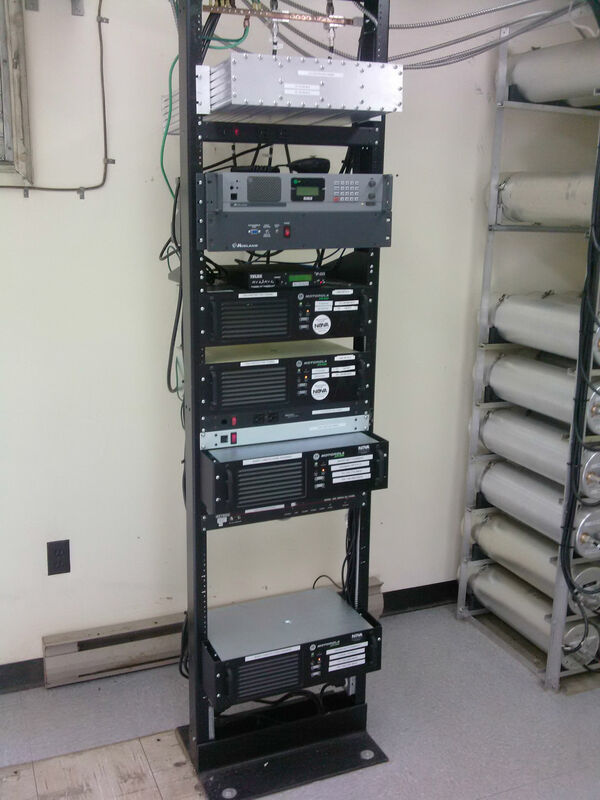 We often tell users who are required to communicate away from their main base station of operations that a repeater may be something to consider. Some examples of requiring better coverage would be a construction or transportation business that has workers on the road or in the field. It is essential that your team is able to coordinate with the main office or with each other for operations and safety. Poor In-Building Penetration – Operating in a building with multiple floors or other barriers to your two way radio signal may require a two way repeater. Employees often don’t have the ability to go to multiple floors when quick answers are possible with effective two way radio communication. Some examples of buildings that might benefit from this include hospitality, healthcare and warehouses or work-sites with multiple buildings throughout the facility. Coordination of Teams – It’s not always necessary for different teams in a workplace to communicate to one another – in fact, it can be more of a nuisance than a factor in productivity. Having a repeater can fix that problem! For example, an events facility would have a number of different teams, from security, food vendors and technical teams, working to make an event run flawlessly. Having different channels for these various departments makes for seamless communication – and within that one team requirement. If, however, teams need to communicate across all boards, then that’s an option, too! Unique Applications – The latest in digital two way radio technology offers exciting features that some organizations have taken advantage of, including applications like work ticket management and man down features. Users of these applications (and more) will require a backbone of infrastructure that better allows these apps to work. The MotoTRBO line of radios features a number of applications, but they will work more efficiently with the use of a repeater. Wide Area Coverage – This is often a necessity for organizations with employees on the move – such as transportation and logistics, along with a number of public safety and government departments. In order to ensure consistent conversation with dispatch or the base of operations, a wide area coverage zone may be a necessity – and having so has been shown to increase efficiency and productivity in the workplace. Often times, however, companies like Nova Communications offer wide area coverage for a monthly rate. Our 4D network, which offers seamless communication between Halifax and Moncton is an example – and is quite popular for users who want that service and coverage. This is the next common question we hear from our customers when they’re inquiring about the need for two way radio repeaters. The best bet is to speak with a radio expert here at Nova Communications, but costs can range anywhere between $5,000 and $15,000 – depending on the need for special antennas and in-building amplifiers to make communications most effective – but it’s hard to define the top end price for your two way repeater based on a number of factors that would need to be discussed. It’s important to note that, unless you have a significant number of two way radios in your organization, Industry Canada may not give you the licensing for a radio repeater due to reduced frequency availability. But that doesn’t leave you without options. A number of companies have seen great success in renting airtime from companies like Nova Communications on a monthly basis for seamless coverage. The size of the repeater you require, of course, depends on your system and the type of communication you’re hoping to achieve with your two way radio system. That is where Nova Communications comes in. We have the knowledge you need for implementing repeater technology in your workplace in Atlantic Canada – and can help you figure out if you require the tower at all! A number of businesses have made the switch to digital two way radio in recent years, and have reaped the benefits of the amplified communication abilities with the technology. With the latest in digital two way radio, users have up to 40 per cent more range than analog two way radios, and certainly better clarity with their use. That switch may be the benefit your workplace needs for better communication. What is your best bet? Speak with one of our two way radio experts today to discuss your options. Contact us here or check out our Professional Services brochure below to see if we can help you in this, or any other way.